FIrst class travel isn’t what it used to be. On foreign carriers and international routes you will get way more than you ever had before (private car service, 5 course meals etc). 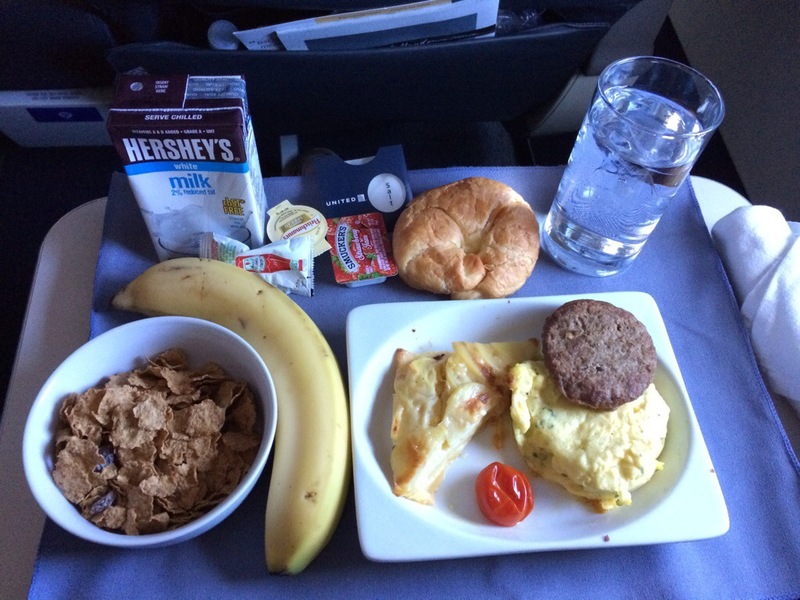 On domestic flights in the US on a legacy carrier (American, Delta, United) you will get larger seats and food. The food can vary greatly from carrier to carrier. United in particular has been known to have some terrible first class meals. 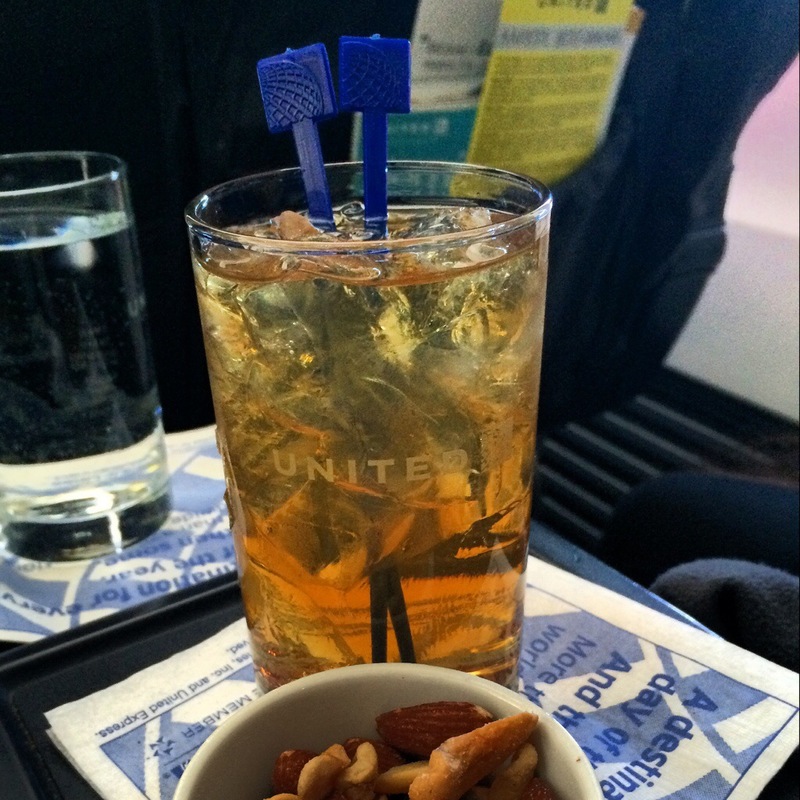 On some recent domestic travels I had the opportunity to experience what United considers its premium food service. The food was not that terrible, which is probably the kindest thing I could say. Most of it was bland, either way too hot or cold with little texture or anything really favorable. It likely costs United less than $5 for each of these meals and they keep cutting costs further and further. Breakfast – “omelet”, sausage, some frittata, cereal with boxed milk that does not require refrigeration, croissant, and a banana. 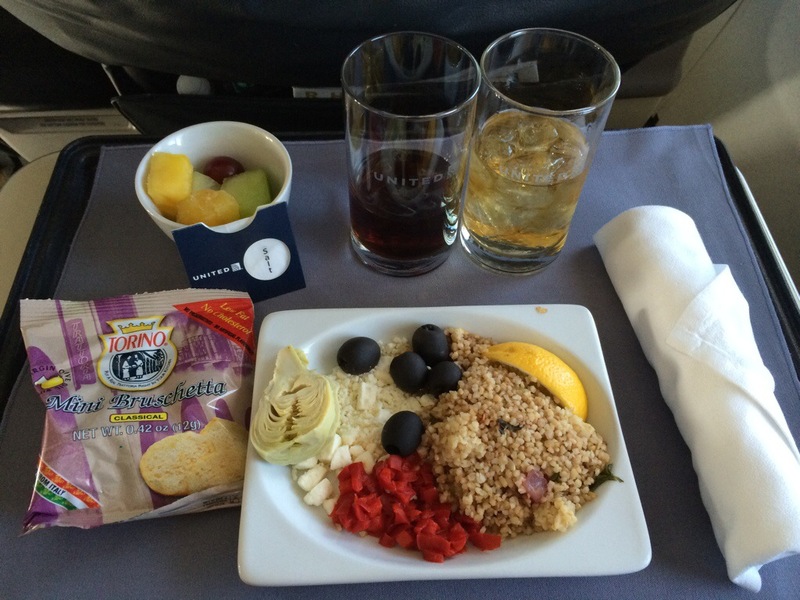 Snack – Couscous, peppers, olives, artichoke heart, lemon wedge, crackers and small fruit cup.